It was so fantastic to have 12 runners representing Operation Orphan in our own locality and each one of them gave it their all. The atmosphere was electric as each of the runners prepared to set off. We managed to catch most of our runners in one group photo before they set off to their starting positions. The weather was perfect – which isn’t always the case here in Nottingham, so we were thankful for that. 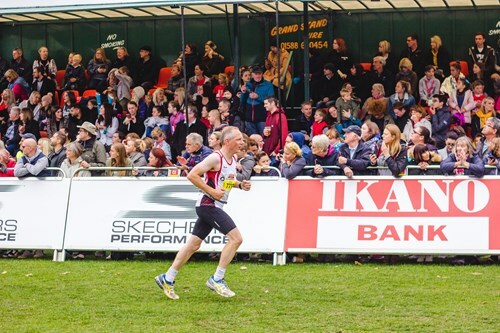 Phil Seaton was the very first of our group to cross the finish line at a very impressive 1.34hr. We managed to catch him on camera as he made his way down the final stretch. Phil has actually been on a Global Expedition with the charity in past years and has a good idea of the impact Keep a Child Warm is making in Eastern and Central Europe. A couple of our runners, Jordan & Charlotte, ran their first ever half marathon. They did so well, running together for the first 9 miles and going solo for the final leg. It was amazing to see them crossing the finish line in such good time – inspirational. Together they raised hundreds of pounds to help Operation Orphan which we are incredibly grateful for. Birthday boy, Peter Collins, celebrated in style by running 13 miles around Nottingham - beats a party any day! He must be super fit as he decided it would be a good idea to ride his bike from Beeston, run a half marathon and then cycle home again. It was lovely to see James Davis back in his running vest. 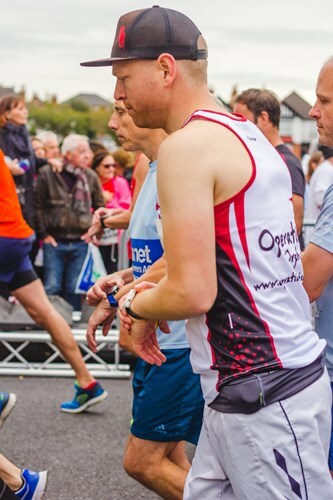 James ran the London Marathon for us this year (which is why his vest has his name printed in very large letters). This run must have felt like a walk in the park! Our lovely volunteer Sam, despite not having trained ‘properly’, ran the course in good time. He did mention having blisters the size of golf balls but I think he enjoyed being part of this amazing day. Sam has been a huge help to us this summer. Since he came home from Uni he’s been volunteering to help us with various aspects of charity life, especially Forget-Me-Notts. We first met Sam years ago when he was at Chilwell School 6th form. His entire year group gave us a week of their time to help with our Keep a Child Warm packing week and ever since that week he’s kept in touch. We are so grateful to know such caring people who are willing to give up their time to help others and Sam is certainly one of these people. Neil and Sam are both an integral part of The Running Hut in St Anns, this is a fab community venture, getting people in the community together for a run or walk and a meal afterwards – what a fabulous thing to be part of! We are hoping that NEXT year many more of these runners will be up for joining us in the Ikano Robin Hood Half Marathon. It would be amazing to have a growing number of runners each year. I’d love that! Angie, Matt and Andreas are part of our community and are known to our core team personally. It was so great to see them in their running vests and giving it their all. Sarah Dickin is one of our trustees. She also teaches at the National Academy and has supported Operation Orphan faithfully since we began 8 years ago! 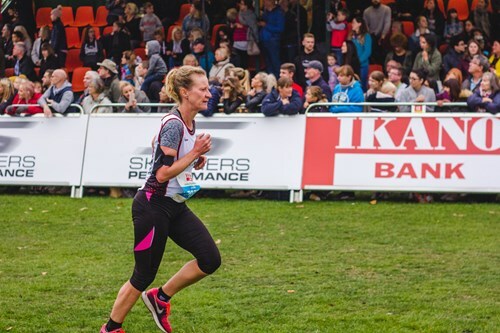 If you’d like to run for Operation Orphan in the next Robin Hood Half Marathon we would love to hear from you. 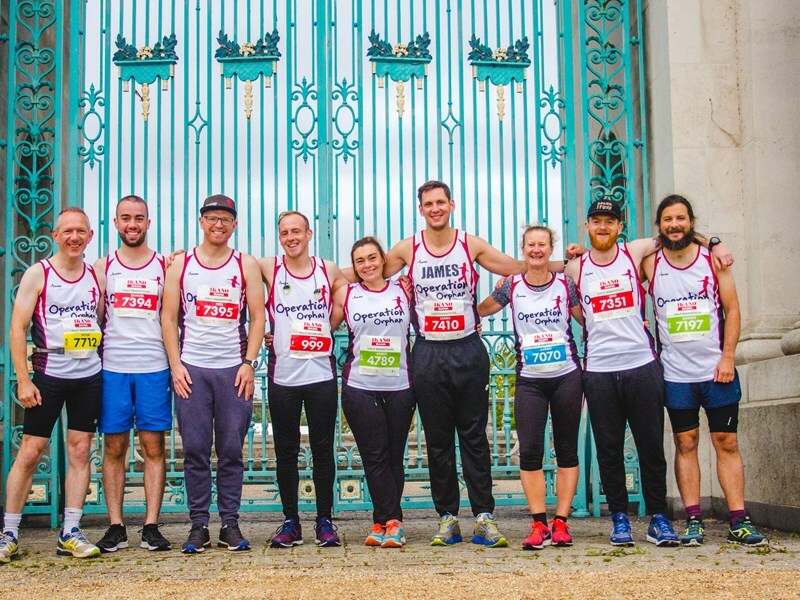 You won’t be put under any pressure with fundraising targets, we would be grateful for you to be part of the running team whether or not you decide fundraising is for you. If you do decide to fundraise we will be happy to help you with this and can GUARANTEE you that 100% of the money you raise will be used to help orphans and vulnerable children locally and around the world. If you would prefer to specify for your donations to go towards a specific project (e.g. Forget-me-Notts, our local project) we would be more than happy to facilitate this too! Big thanks to each of our lovely runners from yesterday and to Will who captured such stunning images for us.